So back to Tuesdays with Dorie. 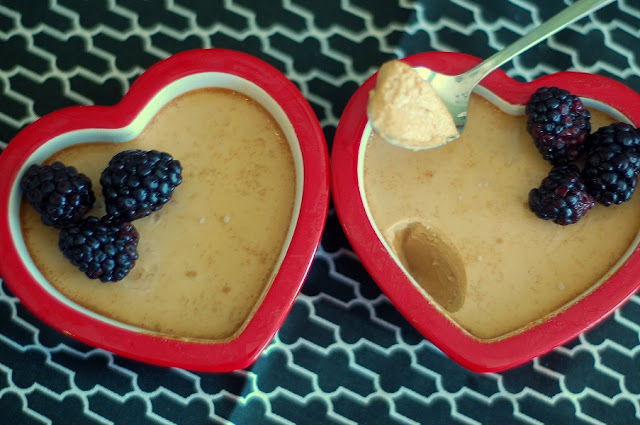 I made these Caramel Pots de Creme in hearts in John's honor last week but had a little date mix up so here I am on this Tuesday with them (see their blueberry brown sugar cakes here). Next time I make these I will try the chocolate flavor (yum!) and add salt again. I will also strain the custard before chilling since you never know and the texture is really important in these delicious little French custards. The ingredients are simple and you don't really need any extra equipment. I'd encourage you to give them a try- and watch the caramel carefully, I think mine was just over the edge, but we still enjoyed these. See the recipe from the wonderful Peggy or buy Dorie's amazing book already and give them a try yourself. They have a fancy Frenchie name but it's really worth trying something new and with a little patience anyone can do it! Those were great, weren't they? I love the heart-shaped pots! I absolutely loved these, even though my caramel went a little over the edge too. Love the heart ramekins! I would eat this, caramel is my new addiction at the moment. 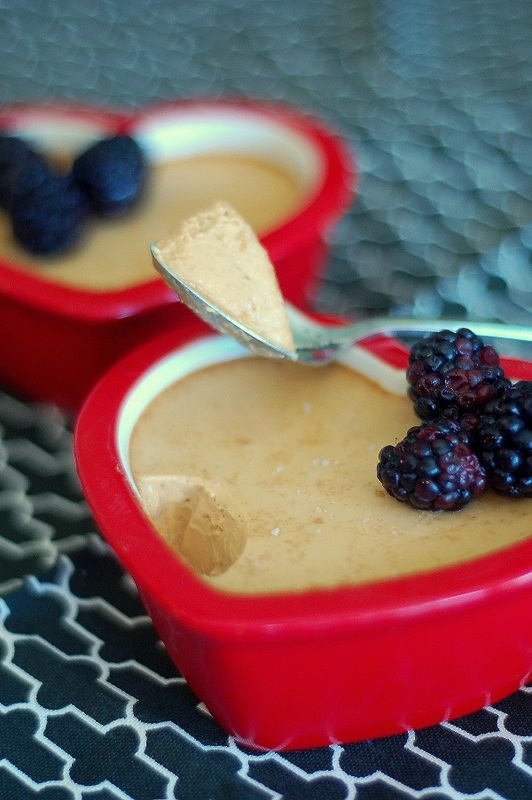 So glad the wedding was wonderful and these caramel pots de creme are beautiful! I love how elegant those three little blackberries make the PDC look. Not to ignore the heart shaped pots as well.